Would you spend close to a grand on a TV? Just under half of people surveyed have expressed an interest in buying a TV set made by Apple. According to results from Piper Jaffray analyst Gene Munster, 49 per cent of people said they would be interested in buying an Apple TV set. Even more encouraging for the Cupertino company, 29 per cent of those surveyed said they weren't looking for a new set, but that an Apple TV would convince them they needed a new telly. The company is rumoured to be working on its first TV set, to launch sometime in 2013. "We believe this suggests that customers would be willing to interrupt an estimated seven-year TV product cycle to purchase an Apple Television," Munster said in the report. "This is of course not surprising given the following of Apple products and widespread adoption of the iPhone and iPad." But price could be an issue. Apple products are notoriously expensive, and the expected price tag of around $1,500 (£962) would turn many off. Only 12 per cent said they would be willing to fork out that much. 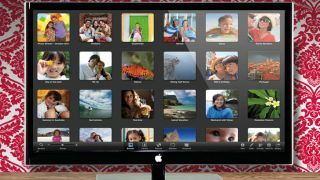 "The hurdle Apple is going to face with winning consumers to Apple Television is price," Munster said. "Over the past seven years, consumers have been conditioned to pay progressively less for TVs, with the average 32-inch TV price down 76 per cent since 2005." Apple could also face intense competition from Google. While Google TV has so far struggled, it recently announced Google Fiber, which offers speeds 100 times faster than the average broadband. So the potential for delivering TV shows is huge. Fiber will only roll out in Kansas City to start with, but if it's a success it could come to other countries soon. Apple wants a TV set to make sure apps look the same across all its devices, but with the long lifecycle of televisions, and the high costs involved, many think a set-top box or software is the way to go.